Once again supply chain leaders and their operations have been highlighted in the annual Gartner Inc. Supply Chain Top 25. The results were announced at the Gartner Supply Chain Executive Conference this week in Phoenix, AZ. "2016 marks the 12th year of our annual Supply Chain Top 25 ranking," stated Research Vice President at Gartner Stan Aronow, in a company press release. "In this year's edition, there are several longtime leaders with new lessons to share and a number of more recent entrants from the high-tech, industrial, chemical, auto and life sciences sectors." For the first time ever Anglo-Dutch multinational consumer goods company Unilever topped the list. Co-headquartered in Rotterdam, Netherlands and London, the organization has been in the spotlight recently for its impressive track record of sustainability. According to Sustainable Brands, Unilever's branch of Sustainable Living Brands has delivered some impressive results for the multinational organization. Last year these businesses were responsible for almost half of the company's growth, and they also saw a 30 percent faster growth rate than the other areas of the business. Notably, Unilever's top five largest brands - Knorr, Dove, Dirt is Good, Lipton and Hellmann's - were included in the sustainable living initiative. "Business can play a leadership role in disrupting markets in support of sustainable living - and they will be rewarded by consumers who are also seeking responsibility and meaning as well as high quality products at the right price," explained Unilever CEO Paul Polman, reported Sustainable Brands. "There is no trade-off between business and sustainability; it is creating real value for Unilever." This year, Gartner included sustainability as a contributing layer to the list rankings. The organization noted that this push toward more ethical supply chains is a critical component of leadership, and as such factored corporate social responsibility into the methodology. This new component and Unilever's leading record in sustainability could help explain how the company finally snagged the top spot. Beyond sustainability, the ranking is based on an overall composite score. Gartner takes a quantitative measurement of business performance and a qualitative overview of peer and Gartner opinions. The company creates a master list of companies via the Fortune Global 500 and the Forbes Global 2000. To keep the list manageable, Gartner created a revenue threshold of $12 billion. Unilever was followed on the list by McDonald's, Amazon, Intel and H&M. In addition to the usual players, this year's ranking saw the arrival of five new companies: Schneider Electric, BASF, BMW, HP and GlaxoSmithKline. Both Procter & Gamble and Apple qualified for the Masters Category this year. 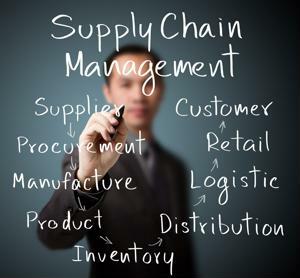 Gartner introduced this new grouping in 2015 to highlight consistent supply chain leadership over the last decade. The category is not a part of the top 25 list but Gartner continues to evaluate these organizations as a part of its annual research. According to Chain Store Age, the report also included a list of leading supply chain trends in 2016. This year, Gartner saw the adoption of advanced analytics, customer-driven partner integration and an increased emphasis on corporate social responsibility as the leading inclinations.